Our skin is the largest organ in our bodies and consequently suffers the most abuse. Diet, stress, lack of sleep, dehydration and age all contribute to making our skin look dull and often older than it should. While skin care technology is coming out with a new revolutionary product every day, skin care experts stand behind the effectiveness of retinol in overall improvement in skin condition. 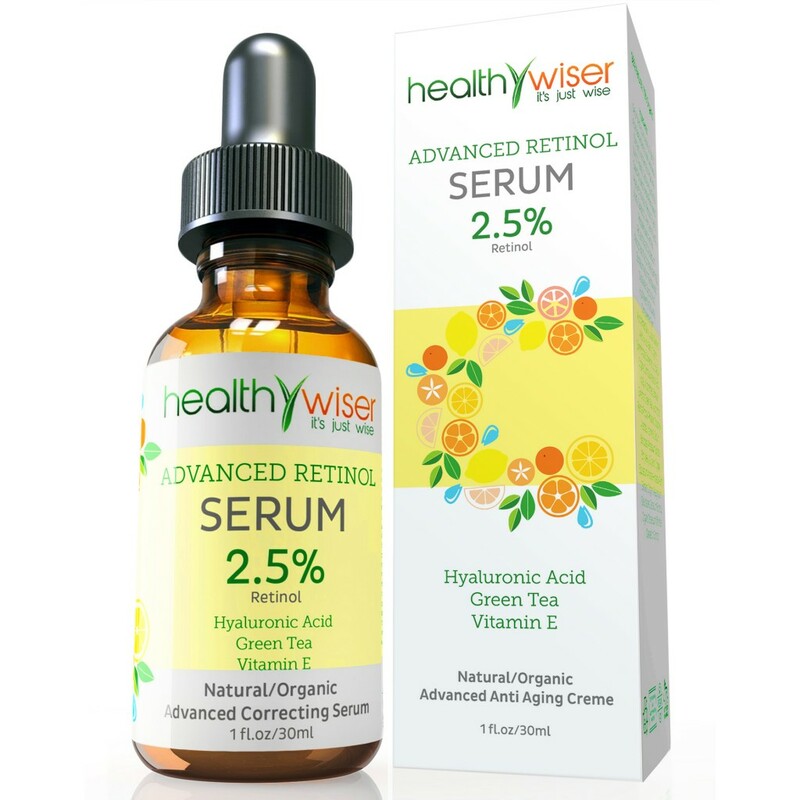 Healthy Wiser is so confident in our Advanced Retinol Serum 2.5% that we offer a 90-day full money back guarantee. If you’re not 100% satisfied just contact us within 90 days and we’ll refund your entire purchase price. To put your best face forward scroll up and click on the Add to Cart button to get your Advanced Retinol Serum 2.5% shipped today.